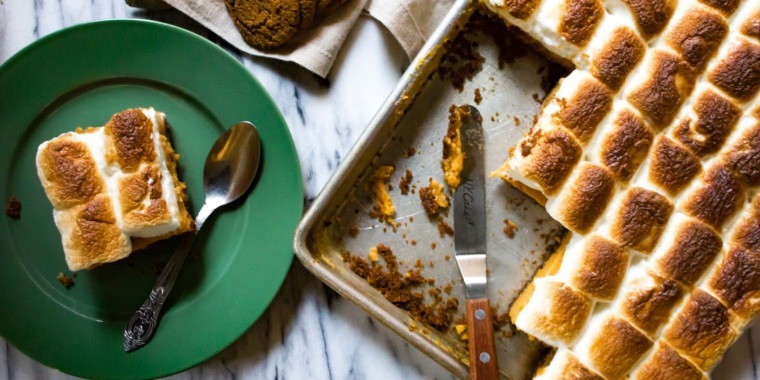 Add some Southern flair to the Thanksgiving table this year. Son of a Southern Chef, LLC. If the idea of kicking off Thanksgiving dinner with deviled eggs and pimento cheese sounds good, this is the year to consider adding some Southern flair to the holiday appetizer course. But there's no need to stop with the starters. Keep the Southern comfort foods coming by cooking up side dishes and desserts just like they make down South. Here are 10 Southern Thanksgiving recipes to try, from no-boil mac and cheese to sweet potato pie. A pretty platter filled with deviled eggs is a great way to show guests a little Southern hospitality when they arrive for the Thanksgiving feast. Simply boil up some eggs, combine the yolks with a few yummy ingredients and pipe the mixture into the halved egg whites. 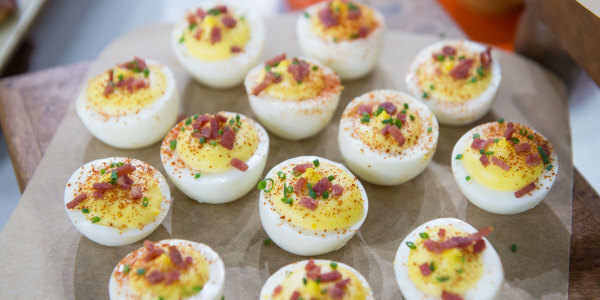 Dress up the hors d'oeuvres with bacon, chopped chives and a sprinkle of smoky paprika. Skip the cheese plate and serve guests this beloved Southern spread. To make this easy pimento cheese, combine grated cheddar, jarred pimentos, sweet onions, mayonnaise and hot sauce. 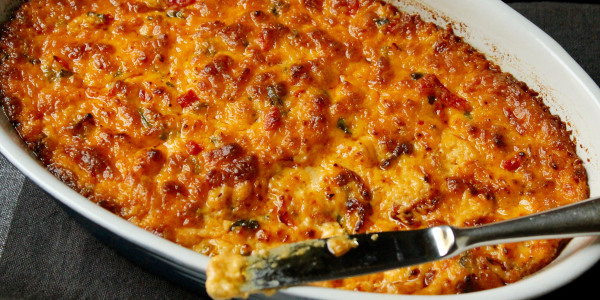 The dip is often served cold, but consider popping it in the oven until it's hot and bubbling. It's a whole new experience and a great way to kick off a Thanksgiving celebration. "The sliced potatoes make this a pretty dish, and the cream and cheese mixture tastes like heaven," HGTV star and cookbook author Joanna Gaines told TODAY Food. She loves to make these scalloped potatoes because they're her husband Chip's favorite side dish. 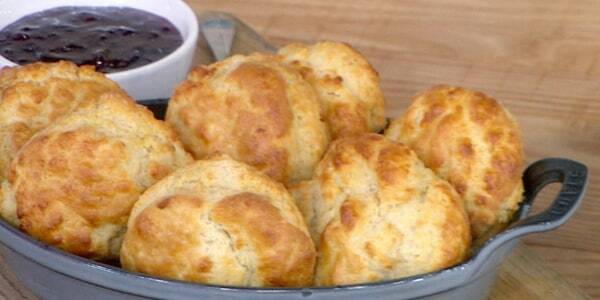 "Perfectly fluffy biscuits are a thing of pure joy," Gaines told TODAY Food. "These light and flaky beauties are perfect for smearing with butter or smothering with creamy gravy." They are also great for turkey sandwiches the day after Thanksgiving. "I grew up eating lots of mac and cheese, and it's still one of my favorite things to make to remind me of home," said chef Lazarus Lynch of Son of a Southern Chef. 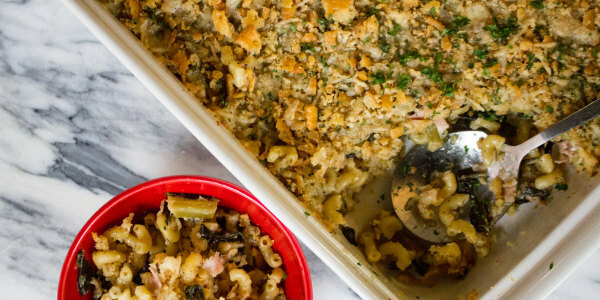 Whip up Lynch's no-boil, stress-free mac and cheese for Thanksgiving dinner or make it the day after Thanksgiving. "This side will go like hot cakes, so you might need to make a few batches," Lynch told TODAY Food. 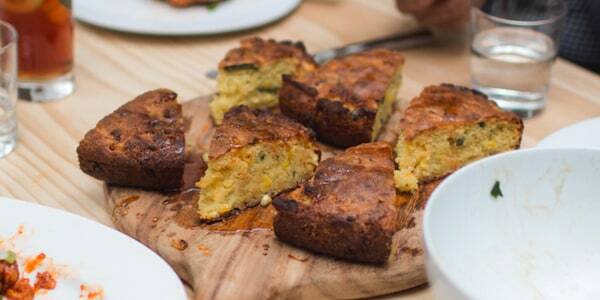 "I love serving this cornbread with some collard greens and gravy." 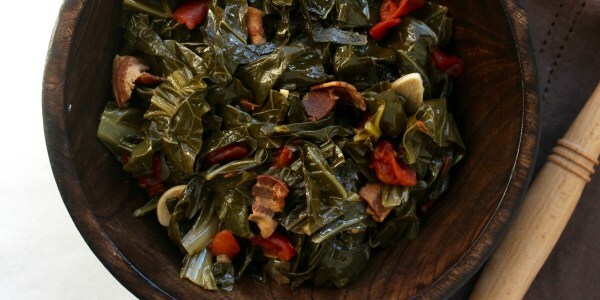 "Long, slow simmering makes collard greens an ideal choice for the slow cooker," cookbook author Grace Parisi told TODAY Food. Here, she cooked them down with chopped bacon and crushed red pepper flakes for some added heat. The greens have an intensely smoky flavor that's a delicious complement to turkey on Thanksgiving. Make or buy cornbread, then use it to create chef Elizabeth Heiskell's dressing, which she called "amazing." 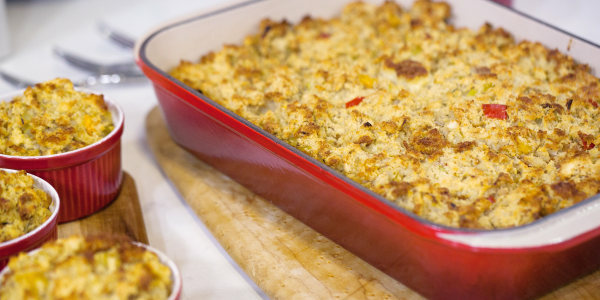 Simply combine the cornbread with seasoned sauteed vegetables, crumbled saltines and chicken broth. 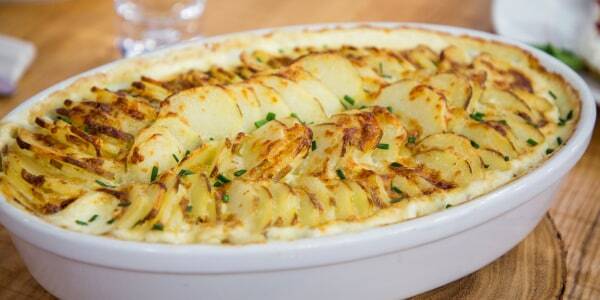 Bake the side dish until its edges are crispy and its top is golden brown. This savory dressing will undoubtedly steal the show from the big turkey on Thanksgiving. "I feel like the most grown-up kid when eating this dessert," Lynch told TODAY Food. 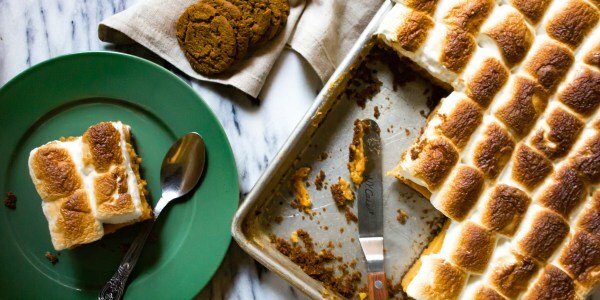 "Every element reminds me of s'mores — minus the chocolate — yet the flavor is so sophisticated." 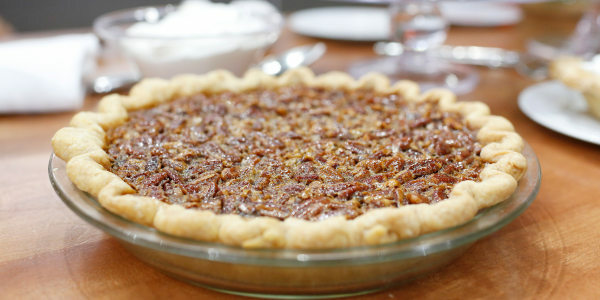 Pecan pie is a Southern staple that's become a must-have Thanksgiving dessert. Frequent TODAY guest and superstar chef Curtis Stone gives the treat's flavor even more depth by adding molasses and a splash of bourbon. The result is a warming, super gooey pecan pie that's even better when it's served warm.